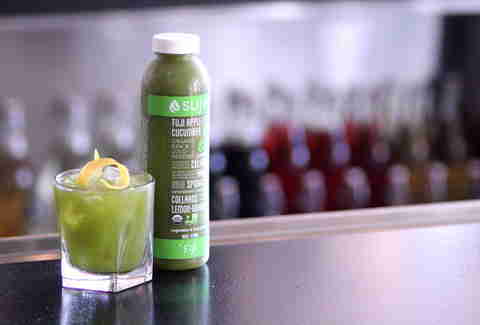 Goddess: This pup features house cucumber-infused gin, a lemon twist, and Suja Fiji, which has a bunch of green stuff (celery, kale, collard greens!) 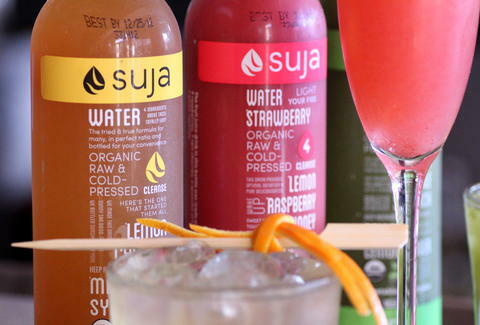 plus bonus not-green stuff (ginger, lemon, apple) to make sure your heart and immune system are handsome. 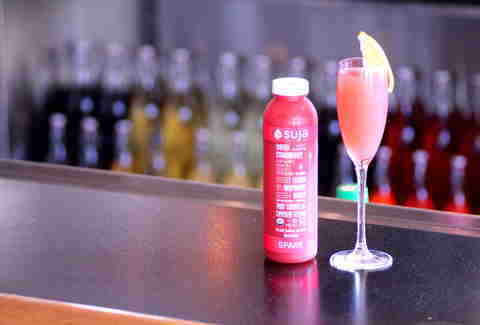 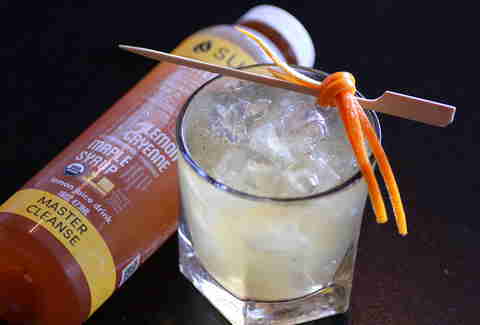 Sun Salutation: Just like when you greet the sun, don't make eye contact when ordering this manly mix of Champagne and Suja Spark, which will get you right with lemon, tart cherry, strawberry, honey, stevia, and cayenne.